Eight organizations supporting the conservation of federally endangered species have been awarded grants totaling $637,858 distributed by The University of Texas at Austin’s Lady Bird Johnson Wildflower Center. The one-year Endangered Species Conservation Grants are to conduct conservation research or set aside habitat to assist the recovery of Texas’ black-capped vireo, golden-cheeked warbler, Navasota ladies’ tresses, Texas prairie dawn and Tobusch fishhook cactus. The two bird and three plant species are listed under the Endangered Species Act. 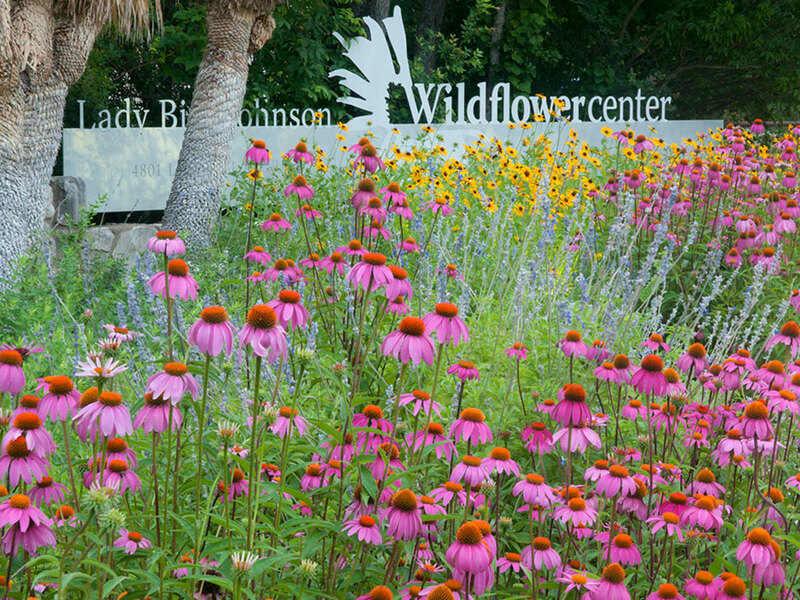 The Wildflower Center was chosen by the U.S. Fish and Wildlife Service to distribute the funds based partly on the center’s conservation efforts for the three endangered plant species. “The Wildflower Center cares for about a dozen plant species that are endangered or rare in Texas and has years of experience in this area,” said Karen Clary, the center’s manager of plant conservation. Clary manages the new conservation grant program. Black-capped vireo, $39,478: Rich Kostecke, The Nature Conservancy and colleagues will count male and female vireos during their breeding season at multiple locations in Val Verde County. The surveys at Dolan Falls Preserve and other conservancy-affiliated land along the upper Devils River will improve statewide statistics on the vireo. Studies will also be done to determine whether vegetation changes on this land over time shift the birds’ habitat. Golden-cheeked warbler, $136,434: Jim Nosler, Friends of Balcones Canyonlands National Wildlife Refuge, to help purchase 60 acres of habitat in Burnet County adjacent to refuge land. Friends of Balcones would partner on the acquisition with the U.S. Fish and Wildlife Service, which would manage the warblers’ nesting habitat on the property. The purchased land will help buffer the refuge from a nearby subdivision and help protect the Lower Colorado River watershed. All three endangered plant species, $68,971: Brenda Molano-Flores, The Board of Trustees of the University of Illinois and colleagues will conduct interviews and use published and unpublished data on these three plant species to develop an index to assess how vulnerable each is to climate change. In addition, the likelihood that these species will go extinct will be evaluated using data on factors such as the percentage of their habitat projected to experience climate change-related changes in temperature and rainfall. Navasota ladies’ tresses, $215,570: Fred Smeins and William Rogers, Texas A&M AgriLife Research, to use computer models to identify critical areas of this wild orchid’s habitat that may be lost and regions that could be used to expand its habitat. They will also potentially purchase habitat to create a conservation corridor for the wildflower. In addition, they will study the composition of the plant’s populations in Central and East Texas to determine whether a lack of genetic variability threatens its survival, and they will analyze the genetic variability of a symbiotic fungus growing with the populations. $78,000. Mary Anne Piacentini, the Katy Prairie Conservancy and colleagues will develop a conservation easement to permanently protect 511 acres of the plant’s habitat in western Harris County. They will also survey existing populations of Texas prairie dawn, which are primarily threatened by Houston-area growth. The response of this member of the aster family to various management techniques implemented with the funding will also be evaluated. $24,452. Anita Tiller, Mercer Arboretum and Botanic Gardens and colleagues will collect seeds in the wild and review the records and viability of seeds already banked at Mercer of Texas prairie dawn and associated rare plant species found in East Texas. A plan will also be developed to manage and reintroduce the wildflower into a new Harris County preserve. $30,985. Charlotte Reemts, The Nature Conservancy, will study whether Tobusch fishhook cactus populations in Bandera and Real counties benefit from partial or full shade provided by nearby shrubs in terms of improved flowering or production of fruits. $43,968. Jyotsna Sharma, Texas Tech University, will study the genetic composition of Tobusch fishhook cacti in eight Texas counties to determine whether two subspecies of the cacti can be identified, whether the two subspecies (if found) share habitat, and whether one is less susceptible to the deadly Tobusch weevil. The $637,858 comes from mitigation money paid voluntarily under the Endangered Species Act. The money from highway departments, municipalities, commercial and other land developers was collected by the U.S. Fish and Wildlife Service and passed on to the Wildflower Center for distribution through the grant program. 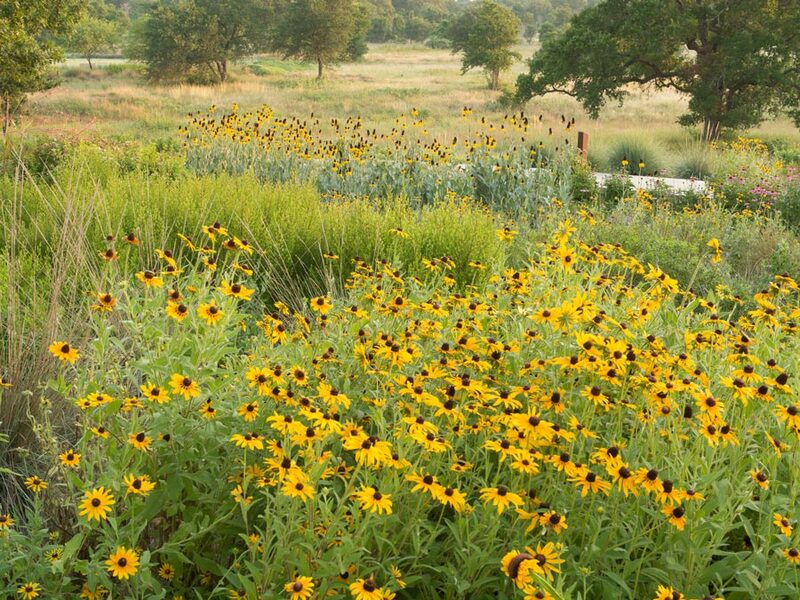 An additional 10 percent of the funds will be retained by the Wildflower Center for grant administration and to support on-site programs to conserve rare and endangered species. Learn more about recent conservation work by the Wildflower Center to benefit Tobusch fishhook cactus. Contact the Wildflower Center to speak with center conservationists or receive images of the endangered plant species listed.